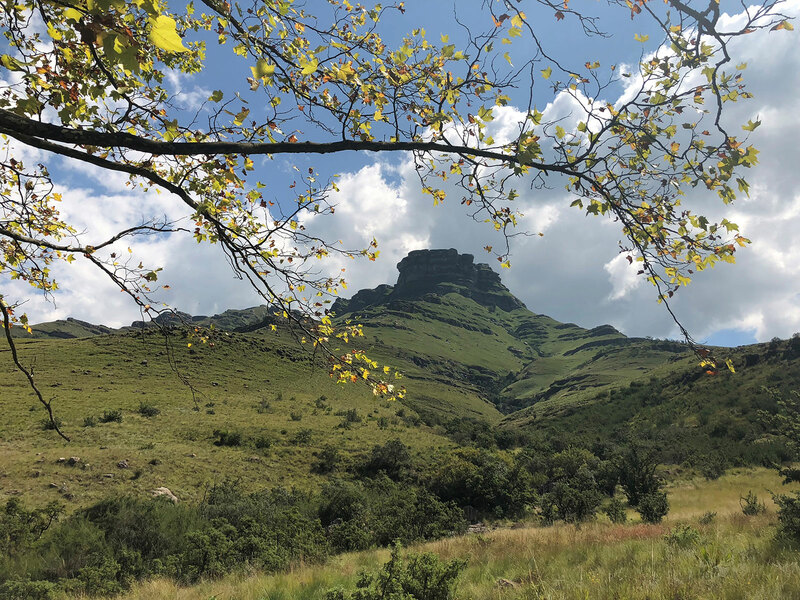 This week-long retreat, held in contemplative (Noble) silence at the beautiful Dharmagiri Sacred Mountain Retreat in the southern Drakensberg, KZN is Sue’s first “training retreat” intended for people working with groups and/or interested in integrating Buddhist psychology and wisdom into their work. The retreat offers an opportunity to deepen your meditation practice through extended silence, as well as your understanding of the Dharma through dharma talks by Sue which integrate the psychological and spiritual elements of this path, and by resident Dharmagiri teacher Chandasara, who will present more classical Buddhist teachings. Sue will also offer daily qigong movement meditation for a deeper embodied experience, as well as individual sessions which provide emotional containment, as well as deeper insight. In addition to Sue’s usual listening and talking meditations, there will be time to reflect on ways to integrate these practices and insights into a work context, with a particular focus on ways to create safe spaces in which healing and transformation can occur. The retreat will allow for silence in solitude in Nature, as well as time to rest, to balance the activities of group practice. CPD accreditation for psychologists and other HPCSA registered professionals: 30 General and 6 Ethics CEUs have been granted. COST: Food and Accommodation plus R350 travel surcharge plus Teacher’s Fee on a sliding scale. This is offered on a sliding scale and while the full fee is greatly appreciated, the reduced amounts allow you to choose what is manageable. Further reductions are available on request and a flexible payment plan is offered if needed. A non-refundable deposit of R2500 confirms your place. Payment in instalments and full balance by beginning of May 2019, unless you have a pre-arranged payment plan with Sue. Transport to Dharmagiri from King Shaka Airport, Durban: We will use the shuttle service offered by Mr Hadley Woodroffe. Please discuss flights and arrival/departure times with Sue before booking, so that we can share the shuttle costs. If your place is filled, there will be a refund less R2500. If your place is filled, there will be a refund less R2500, but in the event, your place is not filled a refund less 75%.